A Bengal tiger is no easy target. An adult weighs more than 200kg, and is about nine feet from head to tail. Not to mention its ferocity and raw power. But, when members of the Pardhi tribe set out to kill a tiger, they are driven by the will to survive. Their strategy is dangerous. They do not use guns, because that may alert the forest guard. And, taxidermists do not like bullet holes. Poisoning may ruin the fur. So, they use traps. The trapped tiger is then stabbed through its mouth with a spear. After the kill, the hunters skin the carcass. Speed and precision are of essence. If the pelt is ragged, it would fetch a lower price; if they are too slow, they may get caught. Apart from the skin, bones and other body parts are also in demand. The sale would ensure that they do not have to starve for some time. The Pardhis were not always criminals. They were once celebrated hunters, known for their skill at handling animals and their knowledge of the jungles. The British labelled them a criminal tribe. Post-independence, they were elevated to nomadic tribe status. But, as India galloped towards its future, the Pardhis, like so many others, were left in the dust. Driven to the fringes, some of them took up their ancestral profession, which got banned as the world woke up to the importance of conserving wildlife. Illegal wildlife trade has grown into a multi-billion dollar industry on the back of desperate social outcastes like the Pardhis. The global trade is estimated to be worth around $20 billion (about Rs 1.36 lakh crore) annually. That makes it the fourth largest organised crime in the world, after narcotics trade, counterfeiting of products and currency, and human trafficking. India accounts for a significant share of the global wildlife trade. The special task force (STF) of the Madhya Pradesh forest department runs one of the biggest operations against poachers in India. It regularly tracks a dozen wildlife smugglers who move in the international circuit. Yesteryear poachers like Sansar Chand have been replaced by Jaiy Tamangs and Tameem Ansaris, who have overseas bases. Tamang, 43, alias Passang Limi, hails from Lhasa, Tibet. He was arrested from the New Delhi Metro Station in October 2015, for poaching tigers in the Satpura National Park, Madhya Pradesh. But, he secured bail from a Hoshangabad court and has been absconding ever since. He is the first wildlife poacher against whom the Interpol has issued a Red Corner notice. Ritesh Sirothia, officer-in-charge of the STF, who is the only Indian to receive the prestigious Clark R. Bavin Wildlife Enforcement Award, said the most alarming development was the entry of rich and educated poachers. Jose Louies, head of south Indian projects, Wildlife Trust of India (WTI), said: “We should look at the people who are engineering this trade from big cities. We should be worried about this organised underworld and not the people at the forefront who get caught regularly.’’ The new entrants into this business function in digital-warps. They are hiding their business under the deep cover of the internet.  “We were surprised when we saw that dozens of websites were selling endangered species,” Louies told THE WEEK. Last year, the Interpol found 21 advertisements for wildlife products on the darknet (a portion of the internet used mainly for illegal activities). Fifteen were for rhino horn products, eight for ivory and three for tiger parts. Shukul persuaded the Bombay High Court that this general rule is not applicable to the Wild Life (Protection) Act, 1972, as the existence of wildlife means a healthy environment. What followed was a path-breaking judgement by Justice S.B. Shukre, who put an end to automatic bail for wildlife crimes. ‘Parcels’ seized by law enforcement agencies in recent years revealed that pangolins (scaly anteaters) and turtles are ending up on the menus of restaurants in Vietnam and other neighbouring countries. The wildlife STF of Madhya Pradesh arrested two priests—Sunit Sharma and Lokesh Jagirdar—from the state’s Khargone district. They had advertised online that they sell the hemipenis of monitor lizards and the “horn of jackals” (a boney outgrowth occasionally found on the jackal’s skull) for a special puja that would bring fortune to the client. The duo were so popular that they had even gone to the UK and other countries to perform pujas. Sirothia said, “We recovered many animal parts from Jagirdar. 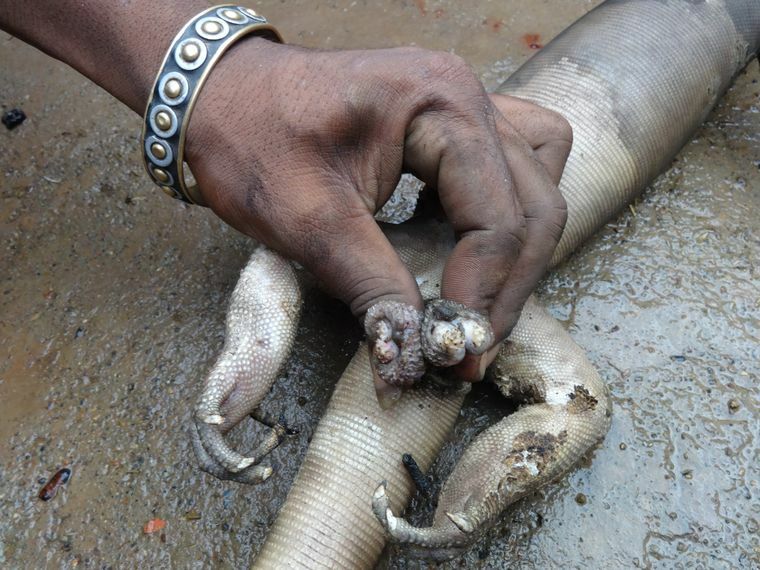 Along with him, we also caught three traders of big monitor lizard hemipenis, which is sold as a lucky charm for virility and fertility in men.’’ The STF seized 68 hemipenes from poachers in raids at Indore and Khargone last year. The STF also issued notices to 84 websites that were selling these commodities. The WCCB called a meeting of these portal representatives to sensitise them. After that, a special web patrolling unit was established. The unit gets at least one lead every two days. The WTI also monitors the web and social media. According to Louies, 50 servers located outside India are the most active. “The WTI has so far uncovered over 198 rackets trading in protected species,” he said. However, the communication through platforms like WhatsApp is untraceable. Apart from the global trade, endangered animals are being captured or poached for absurd reasons. Some sorcerers in rural Madhya Pradesh promised that a special puja on ATM cards using tiger claws will double the amount withdrawn from ATMs. This led to the killing of three tigers and three leopards in the Kanha-Pench jungle corridor. In a bizarre addition to the problems created by demonetisation, two witch doctors persuaded villagers to kill tigers for their paws. They said that a special puja with the paws would bring rains of new currency notes. 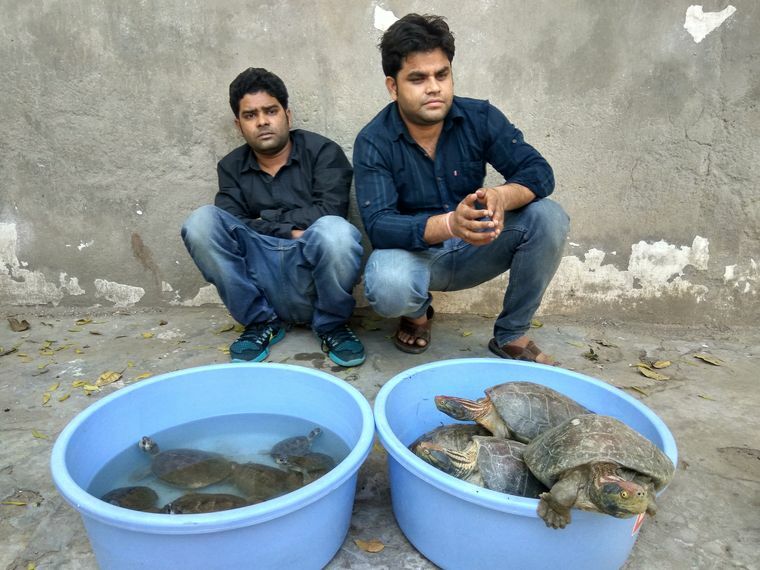 The investigation agencies have unveiled a pan-India poaching and trafficking network that smuggles turtles, pangolins and other exotic endangered species out of the country to Hong Kong and Singapore through two routes—one via Chennai-Sri Lanka and the other via Kolkata-Bangladesh. According to the World Wildlife Federation, Mong La in Myanmar, notorious for its illegal drug and arms trade, is now a big centre for smuggled animals. It caters to the Chinese market, and is a transit point for wildlife sourced from 23 countries including India, Sri Lanka, Nepal, Tibet, Bhutan, Afghanistan and Thailand. Tigers, elephants, bears and pangolins are four of the most widely traded species here. In India, Nagpur is one of the most critically located cities in the wildlife trade—it is close to eight wildlife reserves. Over the years, Nagpur has been a rendezvous point for exchange of smuggled wildlife. Eastern Madhya Pradesh is now developing as another hotspot. The STF has arrested over 142 poachers in the last few months. They were all involved in the poaching of pangolin, the new hot commodity. Pangolin scales are a rage in China for its alleged aphrodisiac properties. It is also in demand among party-goers in the US; the scales contain tramadol hydrochloride, which is found in psychotropic drugs like methamphetamine. Louies said: “Everybody is concerned about poaching and illegal trade where the endangered species are being smuggled out of India, but the reverse is equally alarming.” He told THE WEEK that there have been a number of instances when illegal cargo was found inbound (see guest column). According to the Wildlife Protection Society of India, 45 out of the 142 tigers that died since January 2017 were poached. Tiger poaching is the most organised part of illegal wildlife trade because of the huge money involved. Around 14 species of tortoises and turtles are in high demand in the illegal trade. Over 60,000 turtles were seized in India in the past six years by enforcement agencies. The red-crowned roofed turtle is in high demand in south-east Asia as they are believed to possess occult powers. From 2010 to 2017, 655 elephants were killed in India. According to the 2017 census, there are only 27,312 elephants left. The Indian Rhinoceros, also called the greater one-horned rhinoceros, is predominantly found in Kaziranga National Park, Assam. 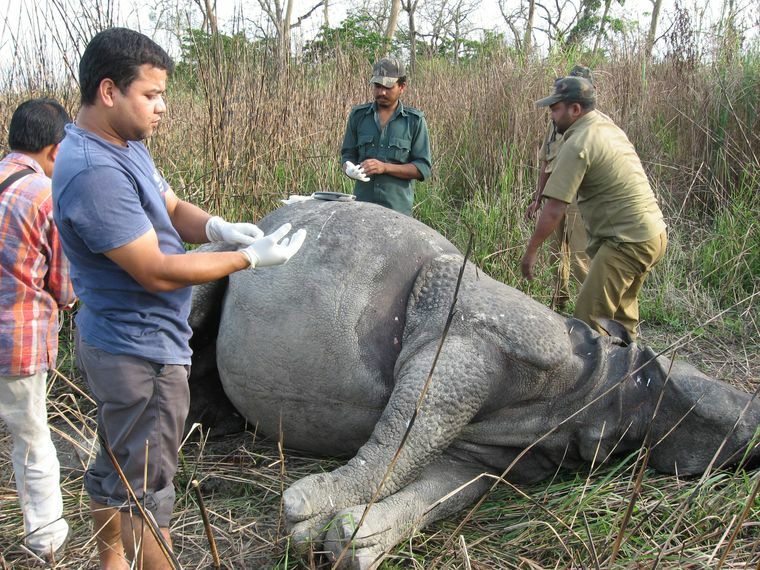 There are over 2,500 one-horned rhinos in Kaziranga. Poachers use assault rifles to kill them. Over the last decade, more than 150 rhinos have been poached in India. Pangolins, or scaly anteaters, are mammals that are poached widely for meat and scales. Over six lakh pangolins have been poached and trafficked globally between 2009 and 2018. A major share is from India. In the last two years, 595 leopards were killed in India, of which 217 were poached. Notorious Bawaria gangs like Bheema and Thotaram are involved in poaching leopards. Hatha jodi or hemipenis—the forked male reproductive organ—of the monitor lizard is a widely traded wildlife commodity on the internet. It is believed to possess magical powers.